Assalamualaikum wbt and happy day to all! Hari ni Anfaal nak share a bit on this lipstick that i have been wearing a lot these days. HessaBeauty Lux Matte. 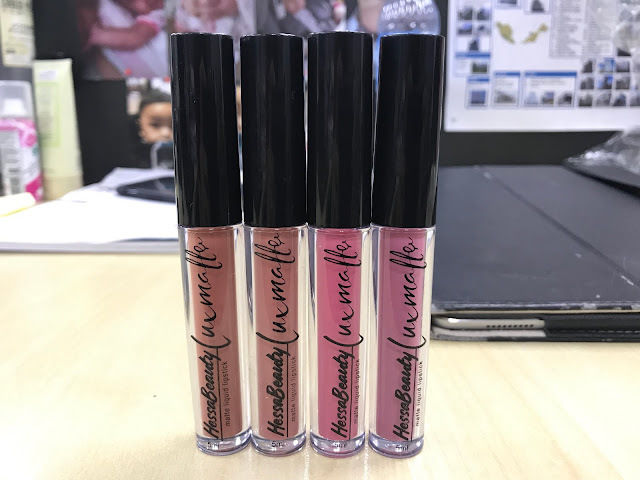 Sebelum ni, Anfaal pakai satu color je from this brand but now i have 4 (tinggal satu je lagi shade nak beli) shades so i could change my shades or even mix it. A bit of an introduction on Hessa Beauty ni. I kenal their co-founder from Facebook and we become 'virtual friends' like instantly! So, bila dapat tau she has this brand going on, i support by becoming one of their so called agents lah. Since i memang suka menjual barang, i take this opportunity to sell this too and also helping a friend as well. 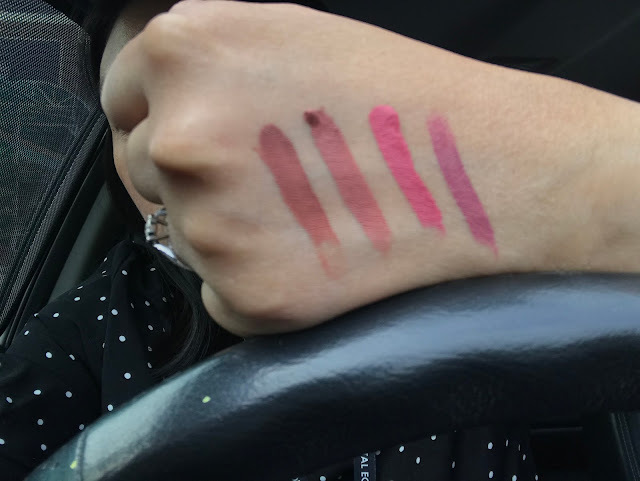 Mula-mula jual, tak sangka ramai juga yang suka dengan texture Lux Matte ni. Ramai yang jatuh cinta pandang pertama! Even for myself. 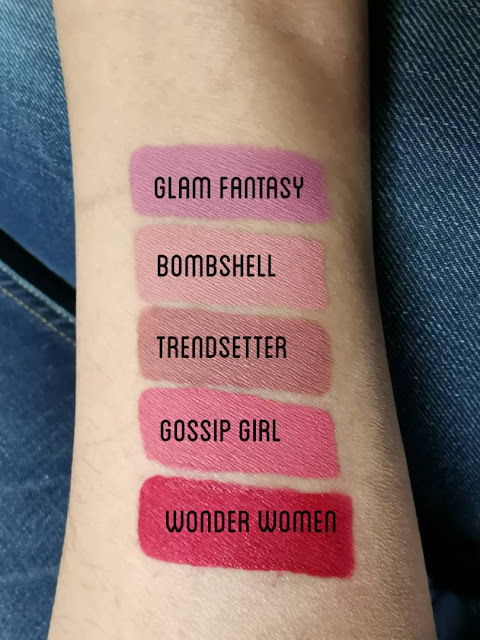 Cause, bila sebut je matte liquid lipstick kan, mesti ramai akan fikir macam texture yang kering, bercapuk and merekah. But this one TAK! I first time fall in love with this liquid lipstick sebab texture dia. Super smooth, soft and satiny feeling tau but...matte finishing. So, tak akan keringkan your lips at all. This is a testimonial not just from me tau but also from my other friends as well. Semua yang pakai, alhamdulillah semua kata cantik and best! Especially the texture. Sorry gambar tak clear sangat. Jom kita tengok yang clear sikit ya. If ada yang berminat nak beli, boleh je PM Anfaal kat Facebook or Instagram. Each for RM29 (Tak termasuk postage ya) and if nak COD kat area Putrajaya/Cyberjaya FOC. COD kat Kajang/Bangi/Serdang/Seri Kembangan/Puchong ada charge for fuel and tol (yang mana ada tol lah yer). Oh yes, now Wonder Woman tengah on sale. RM19 saja! Jom grab cepat!